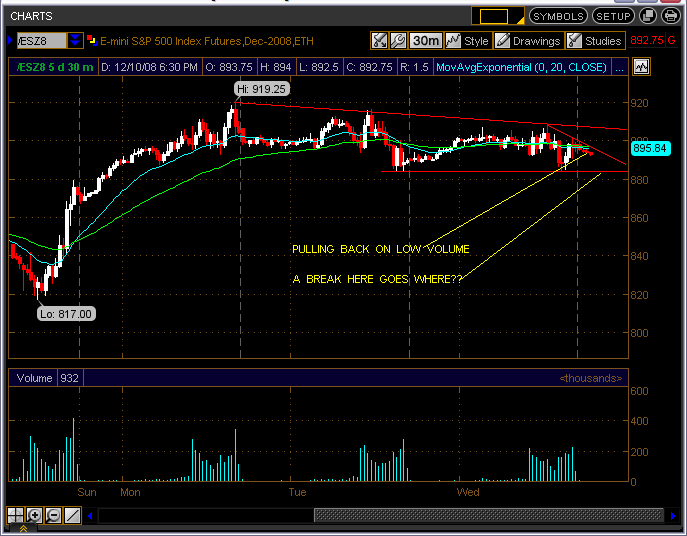 Still long from 889.00...this is one of my problems I hope to fix. When I have a good day I get stupid and get a bias and stop following my rules. Yeah right now its working out but alotta times it means I give alot back. I always thought when the word stop was used it meant protection from a trade going in the wrong direction, but it seems in this room stop is synonomous with exit or target, is this the case? I often use Stop Limit orders which means thats where I am entering a trade, but if I say I'm stopped out that means I lost. VO- you always start with a 2 point stop??? No longer looking for HOD too late in the day gonna get out at 903.00 if it gets there.